This Saturday, 9 July, I will be presenting four World War II programs at the McHenry County Genealogical Society Conference. Hope to see you there! All the records burned! A fire at the National Personnel Records Center in St. Louis, in 1973, destroyed approximately 80% of the Army, Air Corps, and National Guard records. This is not the end of the research possibilities for these soldiers. Many alternative record sources exist to reconstruct service history for these branches. Regardless of service branch, many records exist to tell your soldier, sailor, or Marine’s story. Learn how to research the records of World War II for any branch of the military in this informative program. 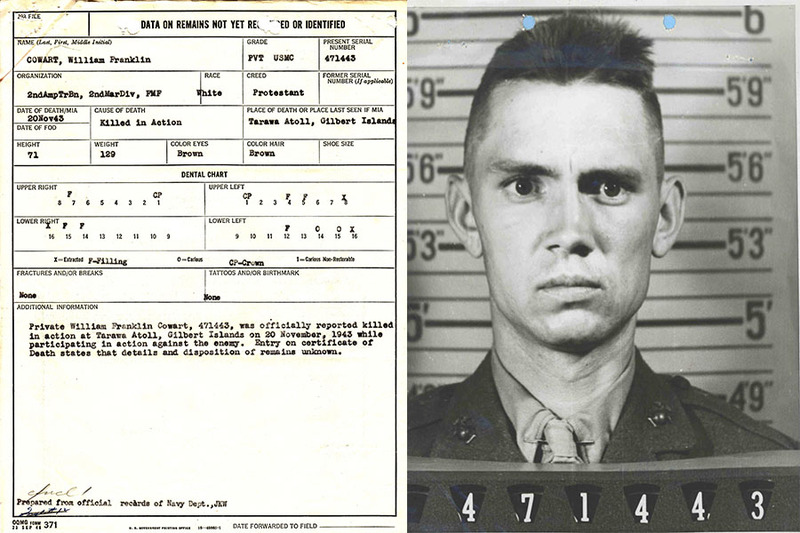 Researching the service of a World War II soldier is more than the Official Military Personnel File we might locate. That file is helpful in creating a timeline of military service, but we must move beyond it to find more of the story. Looking beyond the individual records, we can find unit histories, battle reports, mission reports, war diaries, and other higher level materials, which provide context in which to put our soldier. Many of the records you need to research your soldier’s service, are not online. However, Fold3.com has digitized many unit level records from the National Archives at College Park, MD, to help you with your research. As with any digitized collection, searching by your soldier’s name will not usually yield you enough of the materials available. There are many tips and tricks to locating the gold within the massive amount of paperwork available. This new program, available Summer 2016, will teach you how to navigate the extensive records of Fold3.com. The tips you learn in this program will help you with any digitized record set. The follow-up to The Day That Lived in Infamy. After briefly touching on the basics of getting started and obtaining the OMPF, attendees will learn about additional records to trace the service of their soldier, sailor, or Marine in World War II. 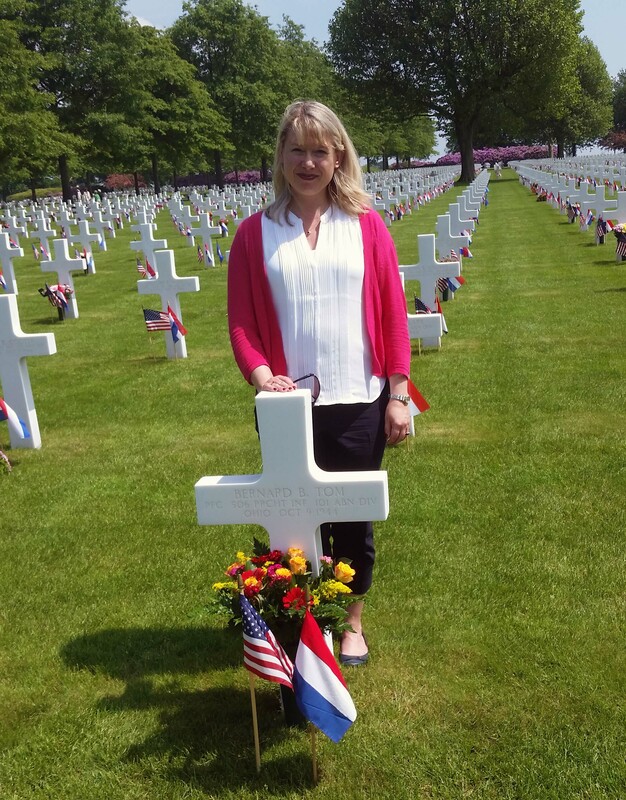 This year I spent Memorial Day weekend in Europe, specifically in Margraten in the Netherlands. 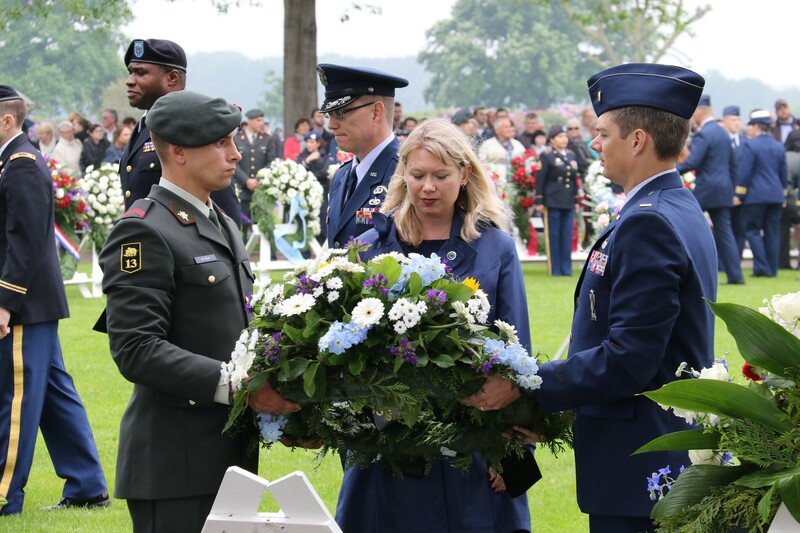 The primary reason I was in Margraten was because my Dutch fiancé has a foundation, the U.S. Paratrooper Society, which lays a wreath at Margraten during the Memorial Day service. He asked me to be his wreath layer this year. 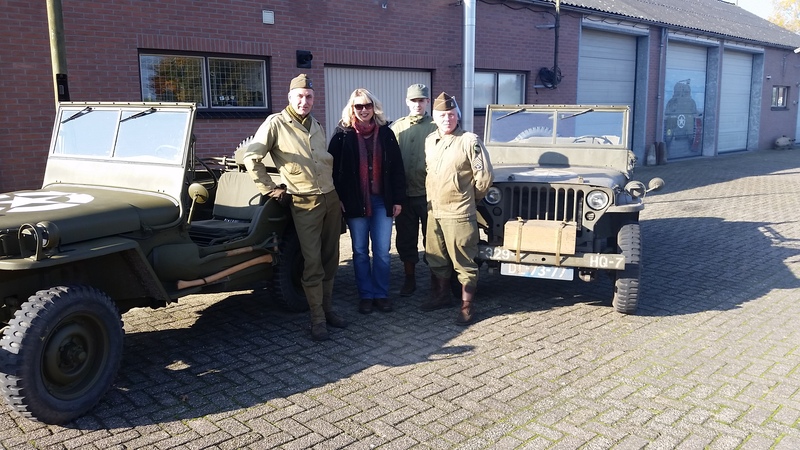 Since we were going to Margraten and I was planning to release new World War II research books, it was also a good time to arrange a book signing. The book signing was one of two events that weekend where I promoted my new book, Faces of War: Researching Your Adopted Soldier. 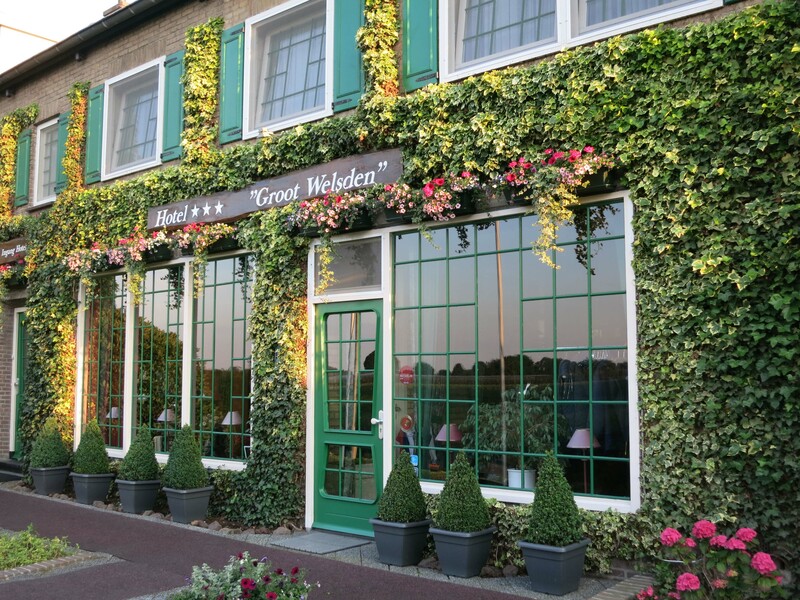 Hotel Groot Welsden, photo courtesy of the hotel and Sutti Welsch. Our weekend began at the Hotel Groot Welsden on Friday 27 May. I had previously arranged with the hotel to have a book signing on Sunday morning, 29 May, before we went to the cemetery. The entire staff at the hotel is fabulous. We couldn’t have asked for a better stay. There is a beautiful, calming garden behind the hotel, where we had a welcome drink and were able to relax….until the storms hit! Then we moved inside to the sitting area. On Saturday 28 May, we visited Henri-Chapelle Cemetery in Belgium. I dropped off books for the Remember Museum. They have several of my research books for sale. Proceeds benefit the museum projects. While at the cemetery I had the pleasure of speaking with the Superintendent Bobby Bell about the goings-on there and donated a copy of my newest book on writing the stories of war. Afterward, we had a bit of lunch in Gulpen and picked up flowers to take to Margraten, the Netherlands American Cemetery. My fiancé adopted two graves there. Charles D. Horn and Bernard Tom. I had not met Charles or Bernie on my previous trips to Margraten and it was nice to stop at their graves, lay flowers, and talk to them. Bernie has been around here, helping with research or writing from time to time. The weather was perfect and quite warm that day so after we finished visiting the graves, we returned to the hotel for a drink in the garden. It was a perfect day. 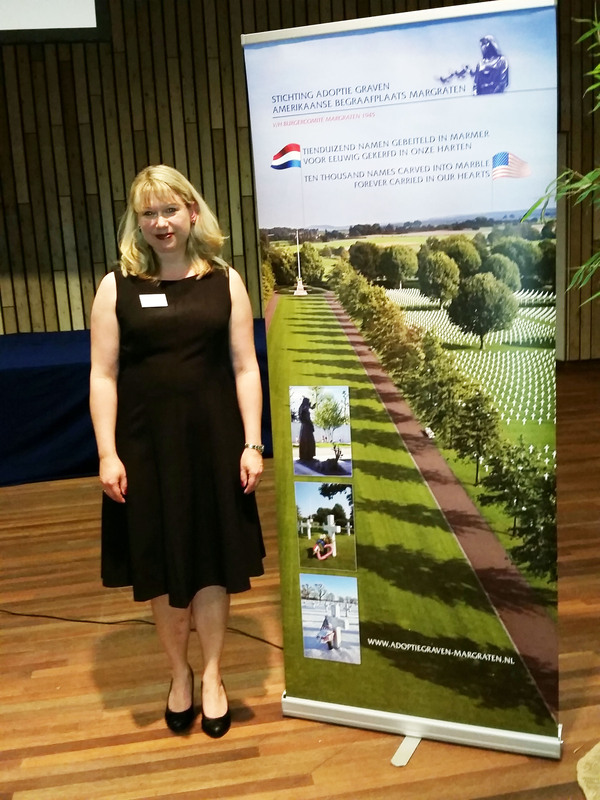 That evening we attended an event held by the Foundation for Adopting Graves American Cemetery Margraten, where I was going to give a short book presentation on Faces of War. 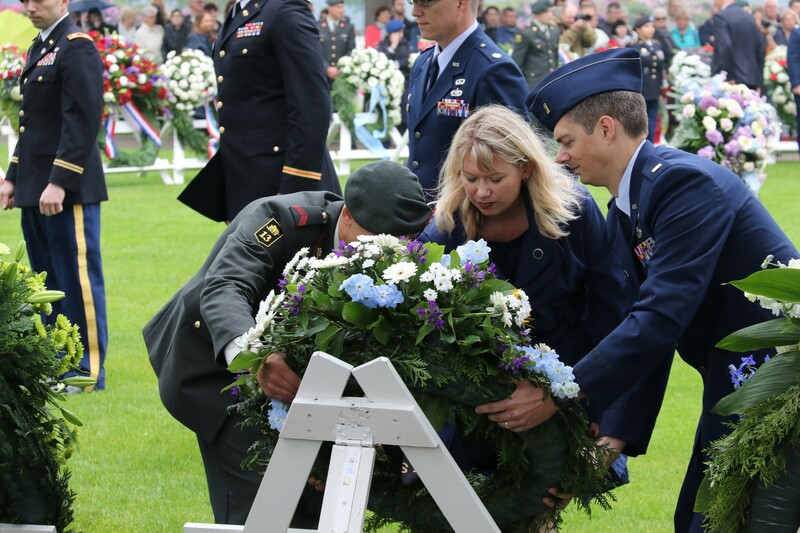 The event was for grave adopters and families of American soldiers buried at Margraten. The evening consisted of a new documentary about the cemetery, folk music, some certificates being handed to families, and my book presentation. The foundation asked for 10 books to sell that evening, which I provided. All 10 books were sold before the program ever began! People are very interested in the Netherlands to learn about the life of their adopted soldier. They are also interested in connecting with family members in the U.S.
After the presentation we returned to the hotel about 10:30 p.m. No one was in the bar or sitting area except the staff. The kitchen was closed but I asked if they had any dessert left because I was hungry. We had eaten dinner early to be able to attend the event. Luckily, there was still some pie left! Pie and coffee were a great way to end a successful book presentation and fantastic day. On Sunday 29 May, I had my book signing at the hotel. 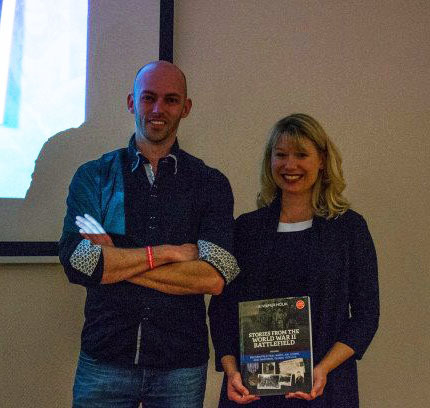 Several members of the Foundation United Adopters American War Graves (Stichting Verenigde Adoptanten Amerikaanse Oorlogsgraven), who were selling my book Faces of War, attended the event with the books the were selling. I signed 30 copies of books and met several new people. If you purchase a book through the Foundation, it supports their Faces of Margraten Project and Fields of Honor Database project. 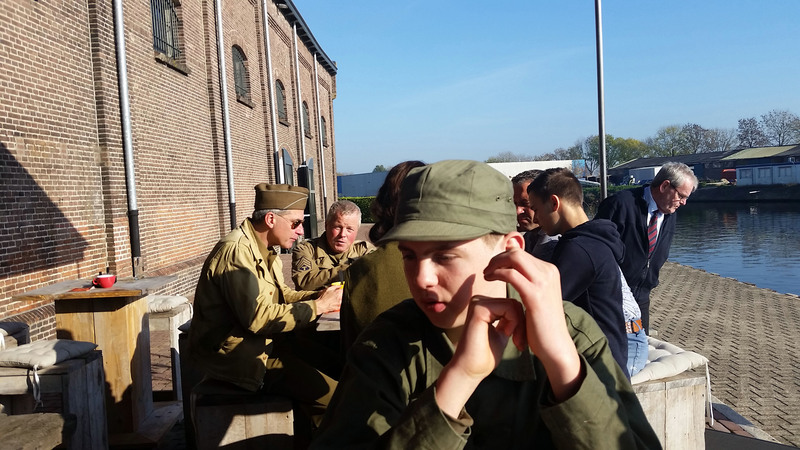 After the book signing, my fiancé and I went to a cafe in Margraten to meet his Band of Brothers re-enactment group for lunch before going to the cemetery. After lunch we went to the cemetery where it was lightly raining on and off. Thankfully the weather was not so terrible to cancel the service or make the attendees miserable. The Memorial Day service consisted of several speeches, an all-male choir singing, and the laying of many wreaths in honor of our war dead. Each of the wreath layers was escorted to the area designated for the wreaths by current U.S. military personnel. Military personnel placed the wreath with our help on the stand. A few moments of silence were allowed before we were escorted back to our seats. I have been doing World War II research, primarily focused on those who died during the war, for several years. It is one thing to do research and be distanced from those who died, and another to be where they sleep. When I am near them, many more speak. This day made my fourth visit to Margraten. Every visit has been special and left different impressions on me. If you read any of my Traveling in Their Footsteps articles from my trip to Europe last fall, you know I often hear the soldiers speak. When they speak, I listen. After laying the wreath and returning to my seat, the soldiers began speaking. 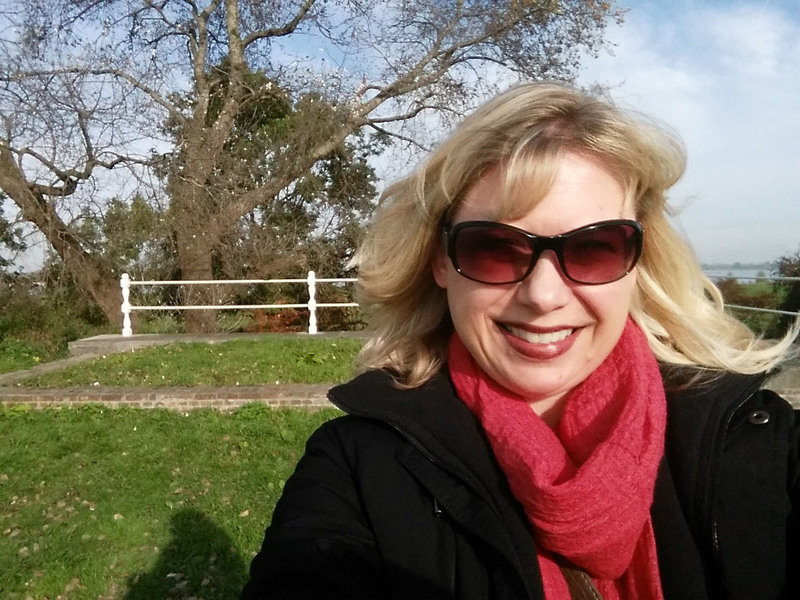 This trip to Europe in May and June 2016, was not what I originally planned. A lot of things changed in my personal and professional life between the time I scheduled my flight and the time I arrived. Just when I thought my life was going in one direction, everything shifted. Sitting there listening to the soldiers, I heard that my life was going to change dramatically. There is a lot for me to do for World War II education, research, and writing. And nothing was going to be what I thought it would. It appears I am now off on a grand new adventure! Stay tuned to find out what happens. Monday 2 November arrived and brought with it the last two days of my trip. I spent the day packing and writing before I drove to Amsterdam to check into my final hotel of the trip. That evening I was supposed to meet with DPAA, the Defense POW/MIA Accounting Agency. This was another meeting scheduled at the last minute prior to my trip. Someone who knew I was speaking at Groesbeek altered one of the DPAA WWII historians about me. After some emails and a phone conversation, I was going to meet Christine C. and her team in Amsterdam the day they flew over to the Netherlands to do whatever they planned to do. I met the group for dinner and we had really great conversations about their work and mine. One important component was the topic of education. I feel strongly that people do not have enough information about the Graves Registration Service and their job during and after WWII. Nor do they have enough information about WHY bodies could not always be recovered or why it has taken 70+ years, in some cases to recover them. This will be the topic of a future article and will feature in Volume 4 of my book series in 2016. The meeting was great and who knows. There may be an opportunity to work together in the future. 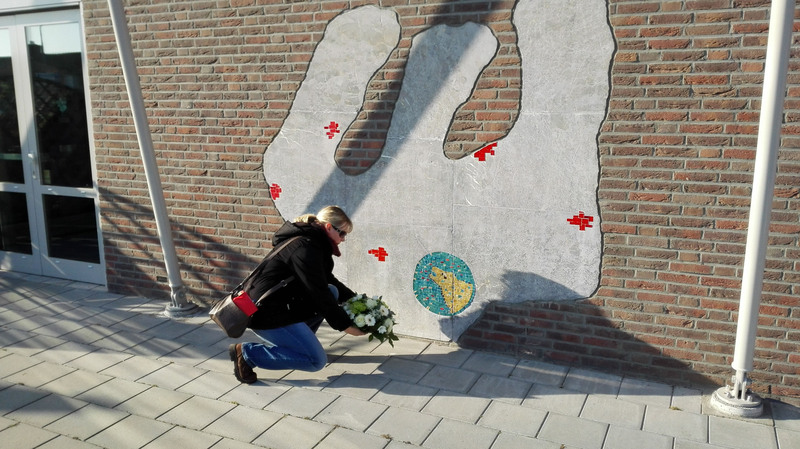 Tuesday, 3 November brought m y final full day in the Netherlands. I felt as if I had done everything I was consciously and somehow, subconsciously, I was supposed to on the trip. I was at peace and ready to go home the next day. 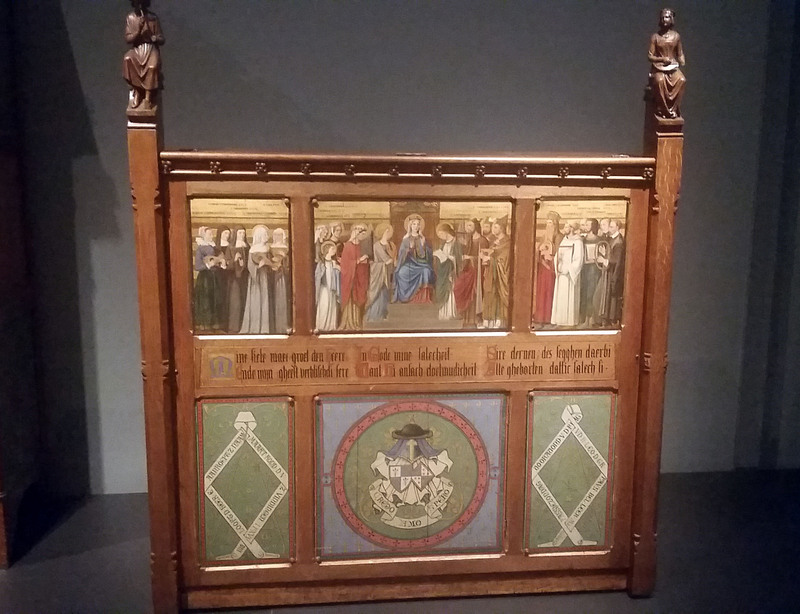 I spent the day with a friend at the Rijksmuseum in Amsterdam and enjoyed the art, artifacts, and conversation. The museum was full of energy, a lot of it centered in rooms which held medieval period art and artifacts. Especially the weapons room where I wondered, how many ways can you kill a man? That room brought up a lot of feelings and issues from the past and a lot of negative and heavy energy. Some of it was attached to my friend because I knew he and I went back lifetimes. I did a lot of clearing in that room around these issues coming up and the items in the room. A few tears fell in the process but in the end, it is what was necessary. Peaceful and ready to head home. At the end of a great day I prepared to fly home the next morning, grateful for all the experiences I had, people I met, and ready for the next stage in life. Once I navigated my way through the airport and had breakfast and was waiting at the gate, I admit to a little happy dance that I had traveled alone. This was not something I thought I could do a year ago, but when the time is right, magic happens. I was certain that a three year period of working too much and solidifying the foundation of my ever changing business, was over and a new one was beginning. A period in life where it would not be all about work but some balance would arrive. So what else happened on this trip? 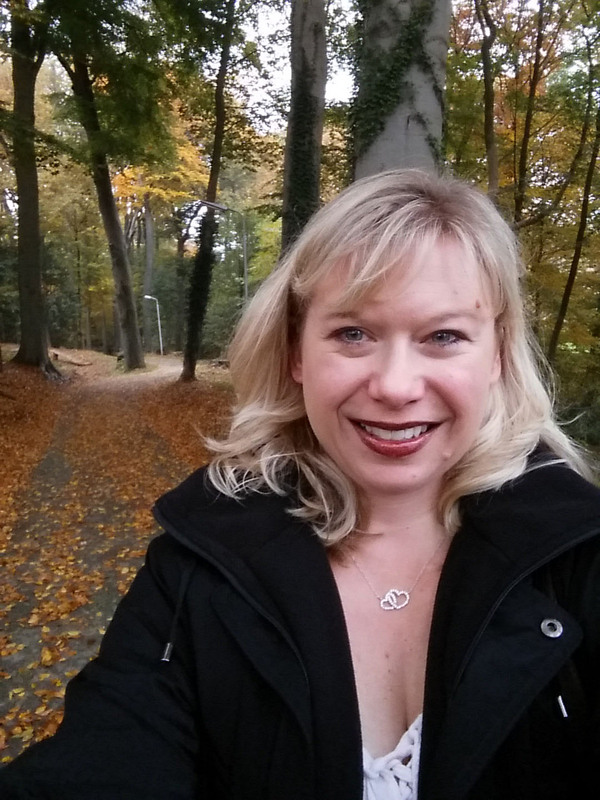 What led me to travel alone besides what I already talked about in these articles? And what happened on the first trip to Europe that changed everything? I guess you’ll have to wait for the book to come out! 1 November was one of my very favorite days of the trip. 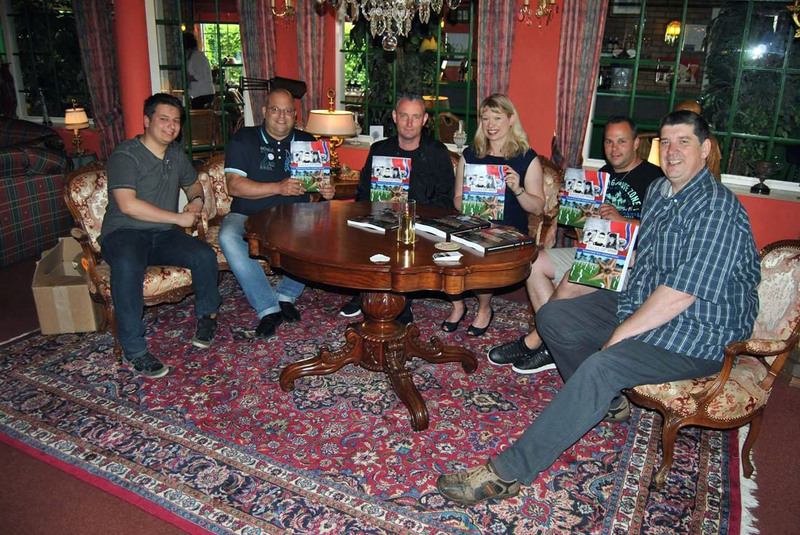 That morning I drove to Achtmaal, Netherlands to meet some of the Friends of the Timberwolves at the Achtmaal Museum. I met Esther, Adrie, Sjaan and Kevin, Peet, and Herman. The day was perfect. Warm sun, a slight breeze, colorful fall leaves falling from the trees, and new friends. We met at the museum and after coffee and cookies with a history lesson thrown in, I had a tour. Time was short because we had a lot to see that day, so on my trip in May I will have to try to meet with the group again and see more of the museum. The museum houses not only Timberwolf artifacts but also artifacts from other groups who fought in the area. Upon completion of the tour we hopped in two jeeps and took off through the countryside. Peet was my driver and also the man who gave me a history lesson over coffee. As we drove, he told me about the routes we took, where the fighting occurred and details about the men and war. We stopped at many sites to see where battles happened, including were my friend John Tyrrell was wounded. It was very interesting to look at my photos and the little bit of video I shot while Peet was driving. There are a lot of red orbs in my photos. Soldiers watching and waiting. Protecting. Usually they don’t show up quite like that in my photos. But there they were! Seeing the places battles were fought, or concentration camps where so many died, is high on my list of things to do when I visit Europe. What is difficult is trying to picture these now serene, often beautiful places through the eyes of someone who was there 70+ years ago. Trying to wrap my head around what happened there and then put that into words that explain it, is difficult. It is often unimaginable the horrors that took place in such a calm place where crops grow or sheep graze today. And everywhere we went, I could feel the presence of all the soldiers, regardless of side on which they fought, in those fields. In some areas, like the Battle Between the Dikes, the energy was so intense it rode in waves through me. Friends of the Timberwolves having lunch where a battle was once fought. After visiting many places the Timberwolves fought, we stopped for lunch in an old building where I met Toine Vermunt, a local historian and author. Toine gave me a short history lesson after lunch before we departed the area. He showed me maps of Holland and explained where the Timberwolves were, what happened at the building we were having lunch in, and what we would see in the afternoon. The Battle Between the Dikes. Toine gave me a booklet in English, he wrote a few years ago explaining this battle. I am grateful to have this history. Laying flowers at the memorial. Toine rode with us to see the area where the Battle Between the Dikes took place, after first stopping to lay flowers at a Timberwolf Memorial. It was as if the Timberwolves were waiting for us because the energy at the memorial about dropped me to my knees. Our next stop was at a woman’s home where we were allowed to walk behind and stand by the canal and look at the area where the men were fighting and attempting to cross. Another beautiful place where such horror occurred. 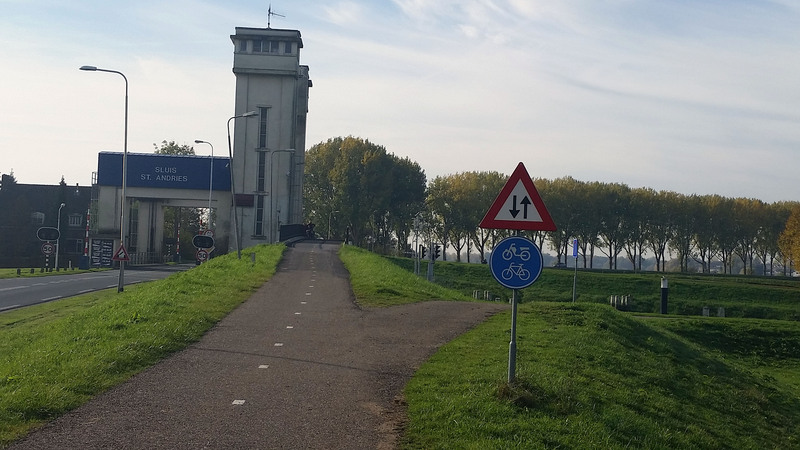 Driving through the areas where the Battle Between the Dikes was fought was intense. The energy from both sides argued with each other. The Allied soldiers were calmer and just wanted to go home. The German side was angry to the point I was feeling a bit nauseous for a while. I cannot count the number of times that day I said clearing statements to send people off into the light and transmute the energy. 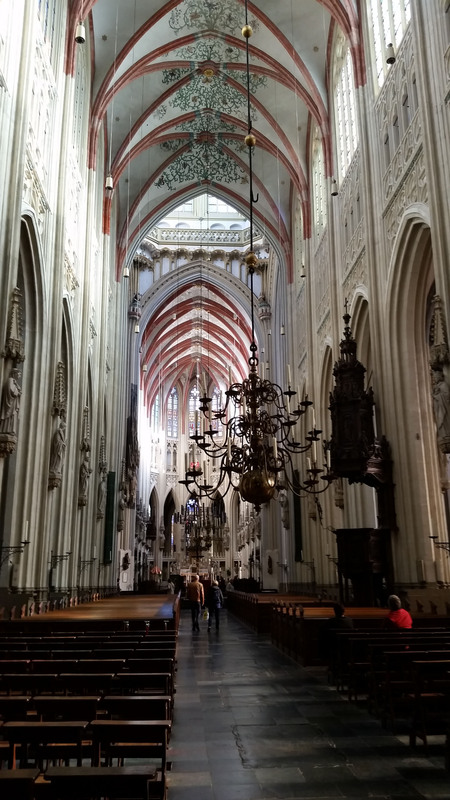 As the afternoon began drawing to a close, our last stop was at the Basilica in Oudenbosch. We had about 15 minutes there because they were about to close. It is another place to which I must return. 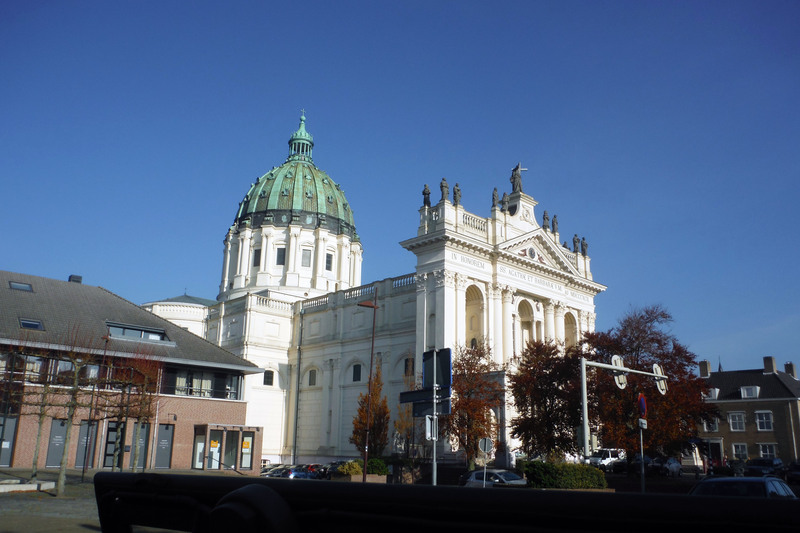 The Basilica is a small replica of St. Peter’s in Rome. Small does not do it justice as it feels gigantic and I felt very tiny in that beautiful place. I was able to light some candles for my soldiers and say some prayers before we left. The Basilica held a lot of energy also. It felt heavy as if every prayer, question, wish, hope, dream, despair, frustration, and death that ever was left in the building, remained. In a way I was happy to only have 15 minutes in that place. After such an intense day, any longer might have done me in. After returning the jeeps to the Timberwolf HQ and saying goodbye to my new friend Adrie, the rest of us went out for dinner before I drove back to Ammerzoden, where I was staying for two weeks. The day I spent with the Friends of the Timberwolves was one of my favorite days from this trip. It was incredible and moving to be surrounded by people with such passion for World War II and our soldiers. People who understood the soldiers still walk in the mists and live among the items in their museum. People who honor the memories of those who gave them their freedom. And, my absolute favorite part of the day – meeting Kevin who is a teenager and has the desire to preserve the stories of these men. It warms my heart to see young people wanting to be involved in this work. It provides the promise that when the older generation is gone and my generation is aging, there will still be someone sharing the stories and memories. Today my friend Peter was going to pick me up and show me some sites in the area which were to include a castle and the Air War Monument he had created. I love castles! Our first stop was Lovestein Castle where we walked the grounds and took a tour inside. The castle did not have many items inside, so guided tours were not required. You simply used the key you received in the ticket office to enter. In the lower level of the castle they had a couple of racks of clothing you could wear as you toured the castle. We opted to stay in our 2015 clothes. British Airmen used the castle during World War II and Peter had a photo of them exiting the grounds. He merged it together with one of me standing in the same area. 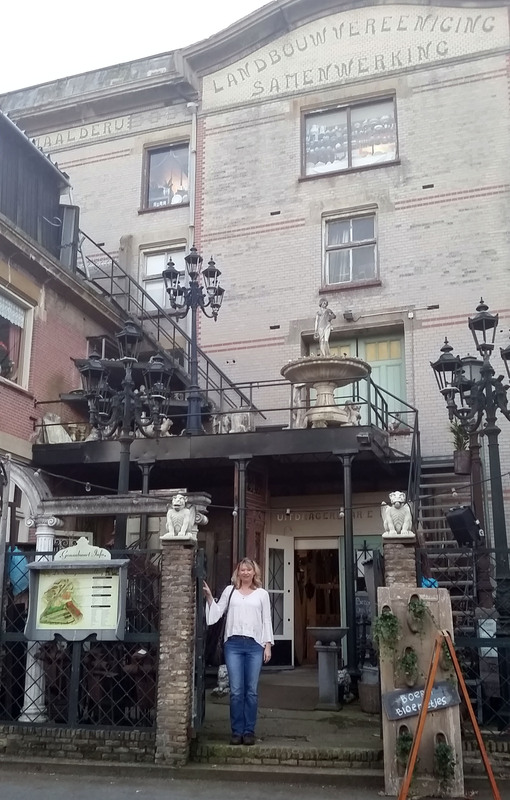 After the castle we drove to Gorinchem to have lunch in a building that was used by the Germans during the war. Gorinchem was another medieval village and there were old buildings, cobble streets, and a harbor. It was beautiful. Quite peaceful. 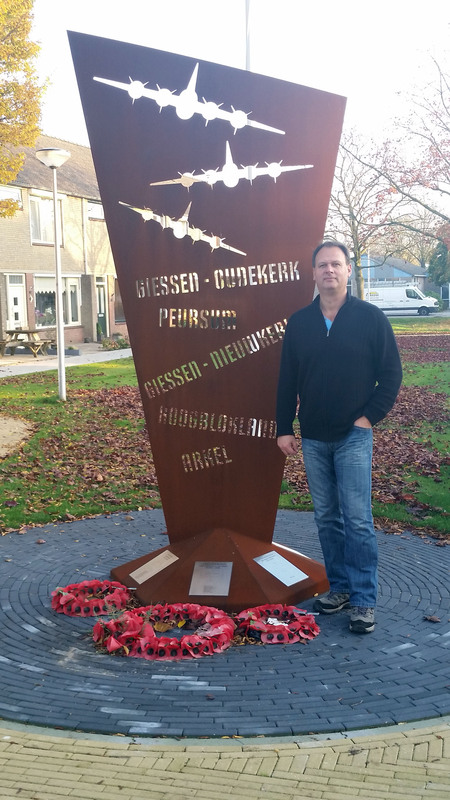 Peter showed me the Air War Memorial he had erected to honor Allied airmen killed during the war in the Netherlands. It was incredible. Tall, strong, full of energy for the American and British airmen who were killed in the war. On our way to the Memorial we drove past a Creepy Cool Antique store! 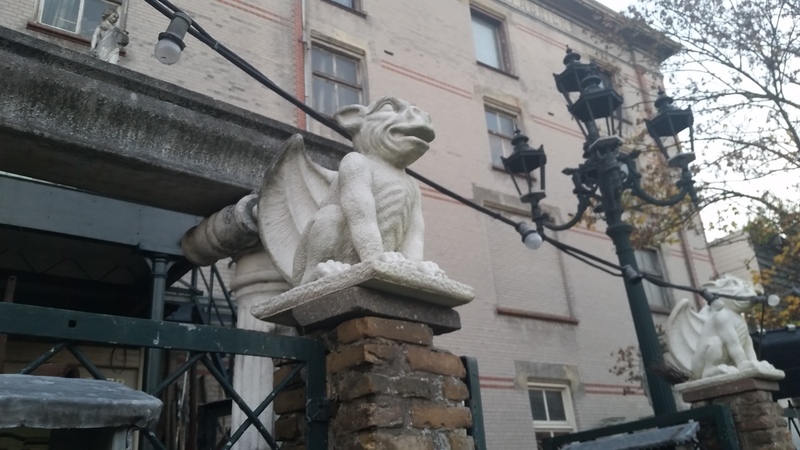 It screamed out, ‘VISIT ME!’ Ok, maybe the store didn’t scream that out but the gargoyles out front did. Either way – the place had some fantastic energy! So of course after we visited the Memorial, we stopped. Peter had known if I did not find the mysterious silver ring prior to Saturday, that a stop at an antique store was going to be greatly appreciated. I had the ring, now we had to explore to see why the store was calling me. Peter had shopped there before for items for his home. This place had everything you could possibly want and a lot more the owners had never had time to inventory and put out for sale. I wandered around the store to see what called to me. I found some beautiful china tea cups I would have loved to own, but they would have been destroyed in my suitcase on the way home. There were old medieval looking doors and chandeliers for candles. 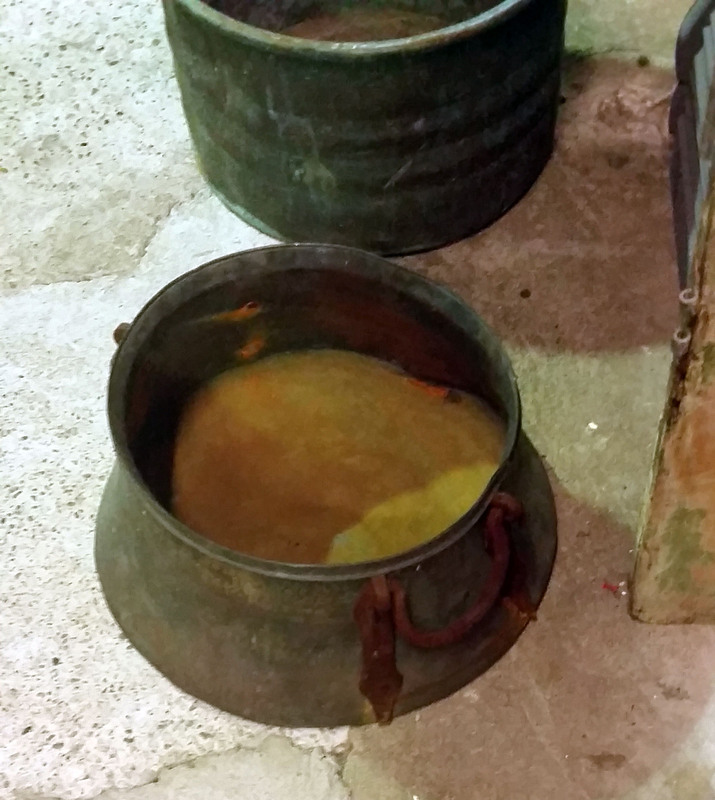 Old pots that looked like they belong to a witch that I also would have loved to bring home. A mirror that invited me to climb into it, but I did not. There was not enough time to go exploring another universe or wherever it was going to take me. 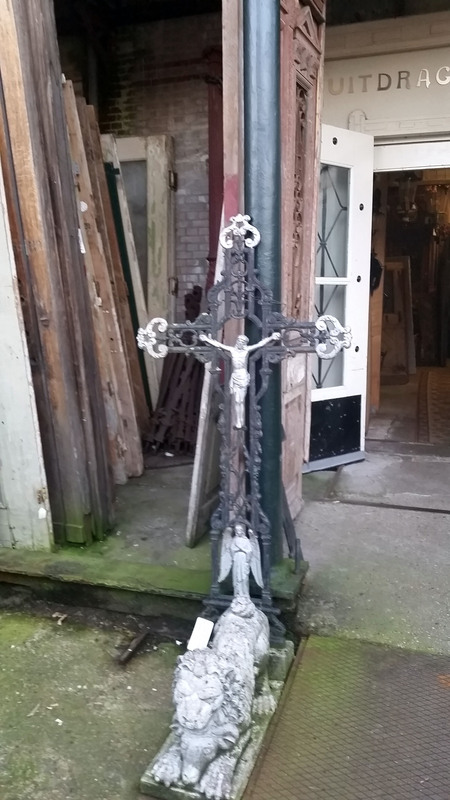 I found old books, photographs of unnamed individuals, postcards, clothing, furniture, and items for the home like door knobs, fixtures, lights,art, Jesus, doors, pipe, iron decorations for outside the home, and so much more. 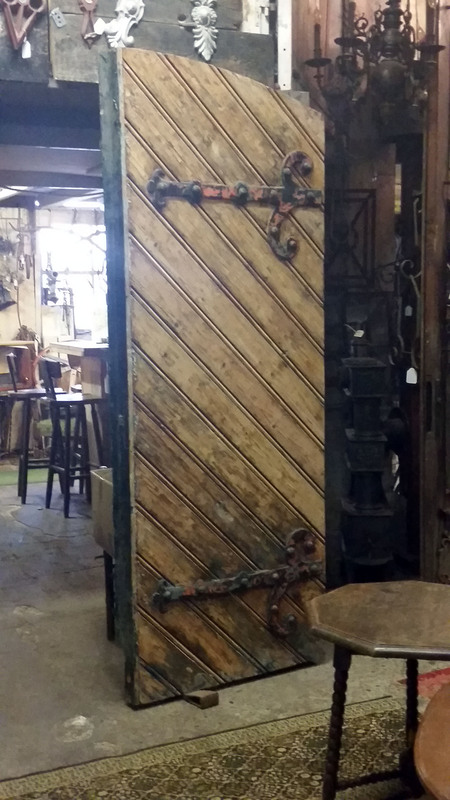 I think on my next trip to Europe I will spend some time wandering antique stores just to see what’s there. It was really cool. 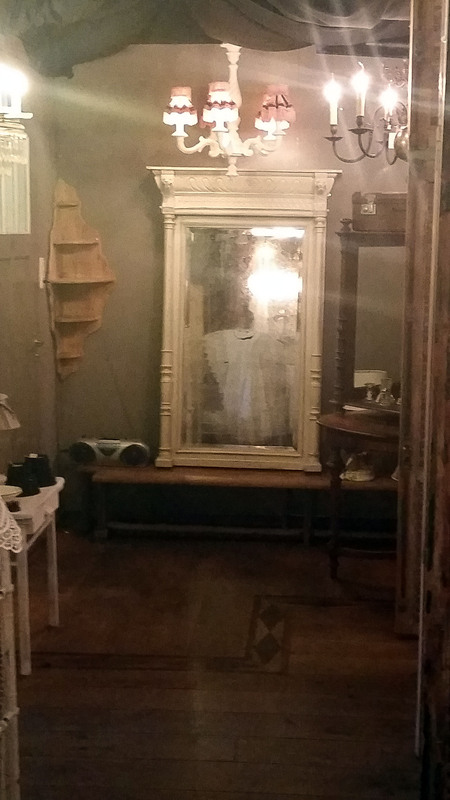 The Creepy Cool Antique store was our last stop of the day before Peter returned me to my B&B. After an excellent sunny day, I enjoyed a great dinner and beer at the bistro in the village before retiring early. 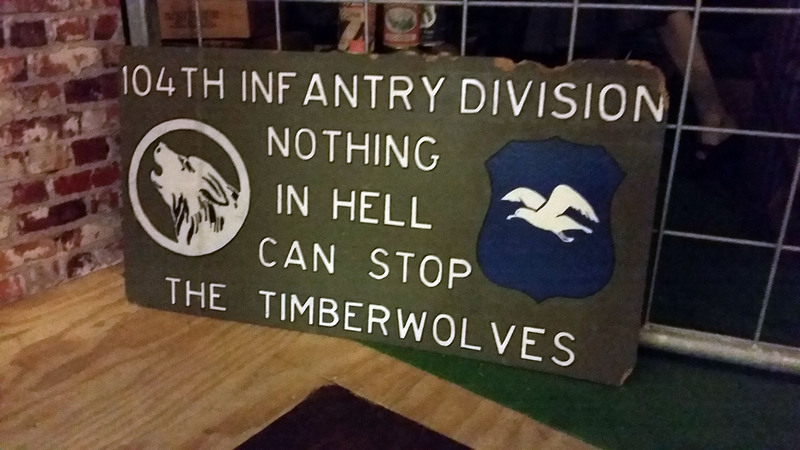 Tomorrow I would meet the Friends of the Timberwolves and hopefully, if the weather cooperated, take a ride in a WWII Jeep! There are days you wish you could just stay in bed and hide under the covers all day. Never leave. This was one of those days. I’m a positive person and try to be cheerful but I’m human and some days, I’m really not fun to be around. This day I would have been happy staying in my cozy B&B all da. That evening I was supposed to drive to Goree-Overflakkee to give my final talk of the trip. Only the energy was such I didn’t want to. I felt “off.” Strange. I’m sure it had something to do with the crazy dreams and sleep the night before and the fact I woke up to see a dead guy floating next to me after 1:00 a.m. after I heard the name JOHN. Yep folks – he was there, very peacefully floating and waiting. I’m fairly certain he was once one of my soldiers. I just watched him and after a little while he disappeared. And then I got up and wrote in my journal describing this man I had just seen. Usually I don’t see them. I did eventually get out of bed and try to ground my energy. 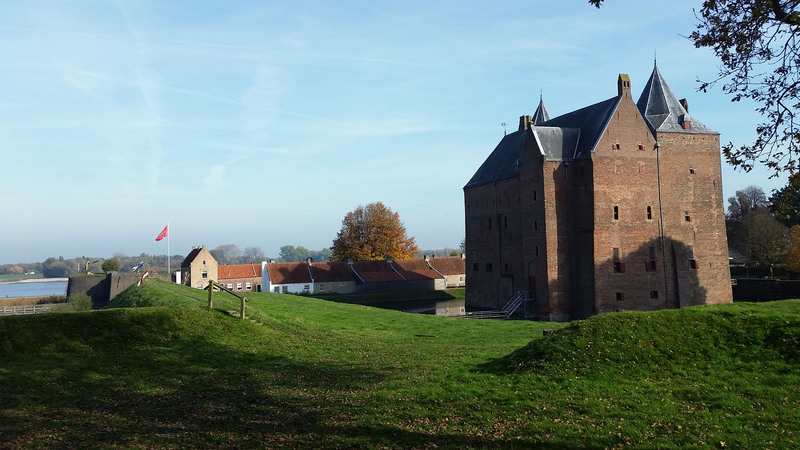 I went for a short drive to Fort St. Andri es in Rossum, Netherlands to see what was there. It was a bit difficult to find even with my GPS but it was a lovely drive. I didn’t spend too much time there, but it was enough to feel less “off.” My afternoon was quiet and then I drove toward Goree-Overflakkee. Now, my energy was still a bit “off” and crabby when I left. I set the GPS for fastest route and it thought taking a ferry was the fastest route. What?! I knew I had to get onto the island or Goree-Overflakkee but Dennis, who scheduled me to speak never mentioned a ferry! 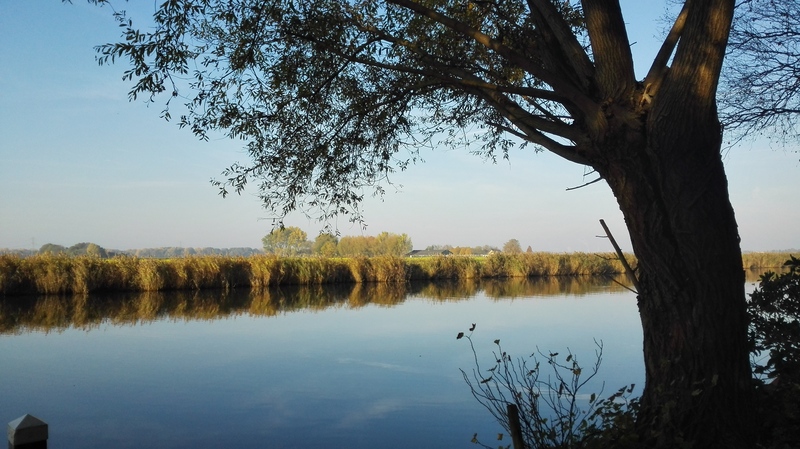 After a frantic text to Dennis, I realized that the ferry was near Heusden. That route was an option I had when I visited Heusden but since there was a bridge right there, I took the bridge. Changing the GPS to scenic route allowed it to think the ferry was not an option and on I went. The drive should have been less than an hour and a half. It never….ever….seemed to want to end. Note to self for the future: When you set the GPS to scenic route to avoid the ferry 10 minutes from your start point, remember to change it back to fastest route. Why? Because scenic takes you on and off highways to drive the beautiful back roads, which add a million minutes to your drive. Once I realized what I had (not) done, I switched the GPS and was on my way. I was almost on the island and got into the off ramp at the bridge to take me onto said island and it was stopped. No one was moving. 10 minutes, then 15. I was hungry. It was getting dark and I had to speak in a couple hours. Another frantic text off to Dennis and I discovered there was an accident. A couple miles up the road should be clear –if I could only get there. Trusting the GPS had to know another way onto the island, I left the off-ramp and continued on this bridge about 5 km only to find that no, that was the only way on the island. I turned around and stopped at a gas station for a few minutes to gather my thoughts and breathe. I also texted my friend Mary and expressed my frustration. She said someone would attend the talk who needed me to show up. It seems when our energetic vibrations are raised, we are able to help others, often when we don’t even realize it. She said someone would thank me for being there that night. When I got back on the highway, the traffic was moving in both directions. Needless to say by the time I hit Middleharnis I was frazzled. I asked the universe for a safe parking spot near somewhere I could have dinner. I had about an hour and a half before I needed to be at the school to set up. I got the parking spot right behind a French restaurant. I’m very grateful to the angel waitress who could tell I was frazzled and spoke enough English to help me decide tea was better than a beer (which I really wanted at that point) and recommended something delicious for dinner. After I ordered I let Dennis know where I was. He knew I was frustrated and laughed because I had no idea where I was in relation to the school. Turns out I was 100 meters away. He said he’d come to the restaurant and say hello and tell me where to walk when I was finished. Dinner was yummy, the tea was hot, and I was relaxed at the end of the meal. I walked to the school and met many people who had gathered for drinks prior to the program. A reporter had shown up to listen and I had a short interview prior to the talk. The energy was cheerful which helped reinforce the relaxed energy I was feeling. I was grateful. Dennis and Jennifer after the program. 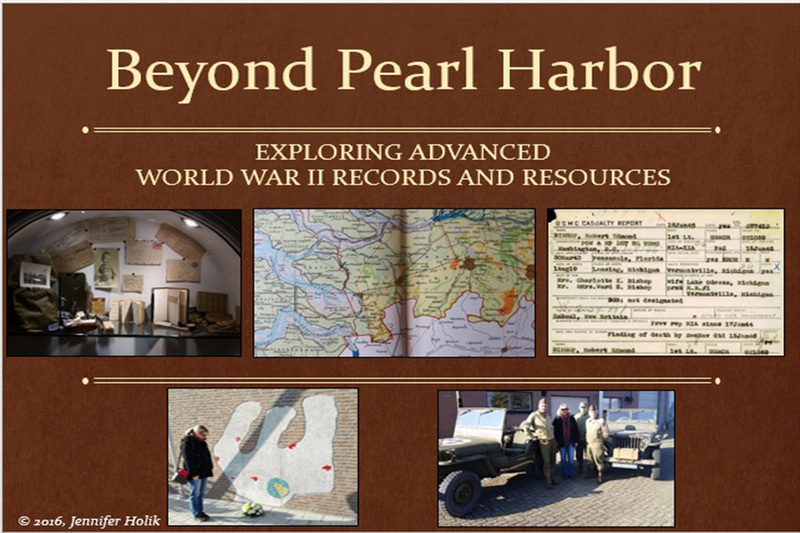 I gave the program and talked about how to research WWII American soldier service. After I was finished, Dennis spoke about the air war on the island and some of his research. He had many photos of airmen and told us the story of a man who went down in a plane, only to have been later seen by someone who knew him from home, while he was wandering England. The man’s name was Jack. And then the energy shifted and got all giddy and I almost laughed out loud because JACK is often a nickname for JOHN. The dead guy in my bed the night before, I was certain was this JACK. I asked Dennis if Jack was a nickname and he said he didn’t know. The reports only showed Jack. But the energy said otherwise. When the program was over, several people stopped to talk to me and one in particular told me a story and then thanked me for being there. He reinforced that sometimes we are supposed to show up because someone needs us. I’m glad he and I both showed up that evening. After hot tea with some of the attendees and conversation it was time to drive back to Ammerzoden. Dennis walked me back to my car and I told him about John and seeing him when I woke up the night before. He understood. Was John the Jack, in the story Dennis told? We will never know for sure, but I think it was. And I’m grateful I got to meet him. Sometimes all the soldiers need is for someone to acknowledge them, to see them before they can move on peacefully. Isn’t that all any of us really want – someone to really SEE us? There were many instances on this trip I wished someone was following me with a camera or that I had a driver so I could shoot photographs as the car rolled along country roads. 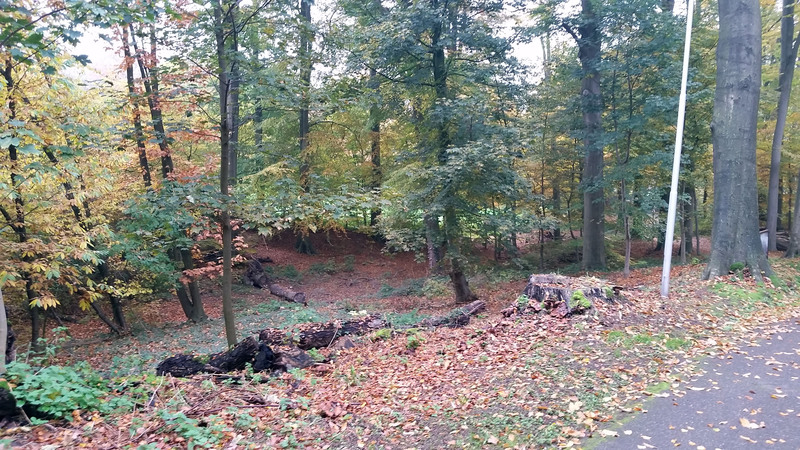 The morning of 29 October was one of these instances as I left the hotel after a beautiful walk in the woods where the trees danced with joy, to make my way back to Ammerzoden. Today, I was determined to find this silver ring. The drive took me over rolling hills as the sun shone brightly amidst the trees of red, orange, and gold. As I drove down a hill toward a piece of road covered over with a cathedral-like canopy, it felt like today, 29 October, was a very important day in one of my past lives. A day on which I married someone I loved very much. The energy was sweet and intense and I knew today I would find my ring. 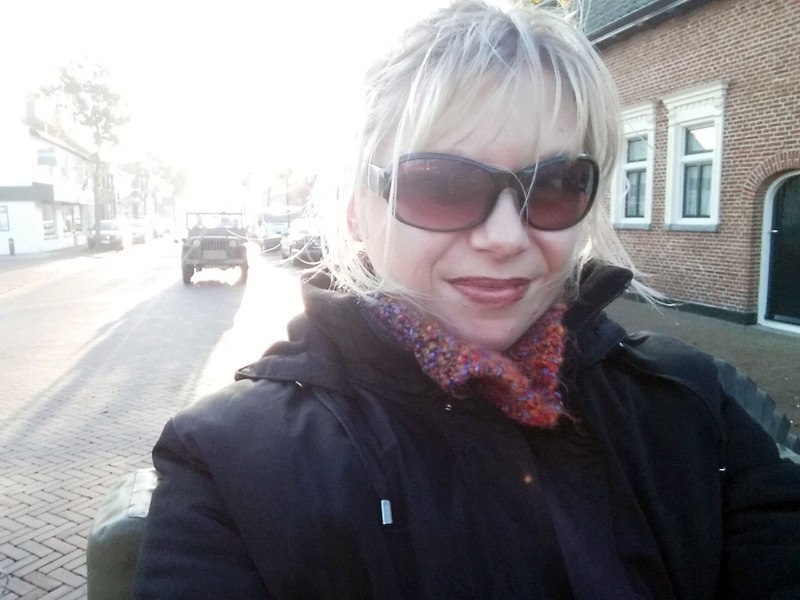 My car drove itself to ‘s-Hertogenbosch about 15 minutes from my B&B in Ammerzoden. 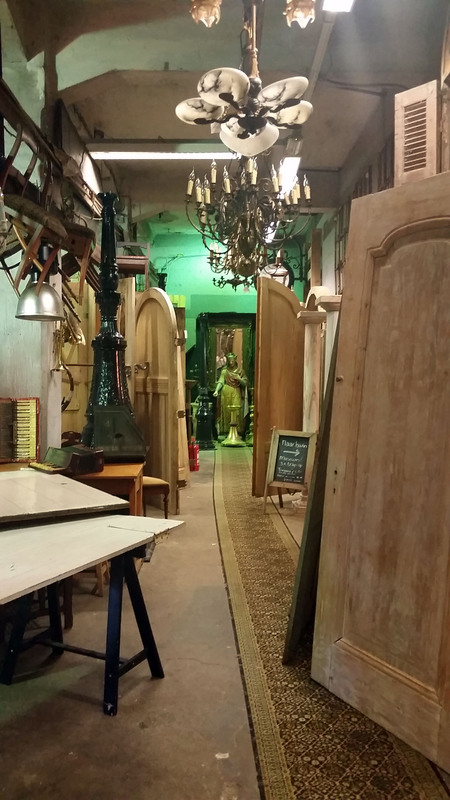 I asked a friend the day before if he knew of any antique stores in the city and I had an address. When I arrived in the city, I only had a couple hours to spend there because I had to be on a Skype call that afternoon. Parking was easily found and I took a walk into the center of the city. I found a café and had some hot tea before going off in search of this jewelry store. Only it really wasn’t an antique store and didn’t look like it would have what I was seeking. I kept moving through the city streets and came across another jewelry store. Browsing the items in the window I spotted it. An amethyst ring with tiny diamonds. White gold so it looks silver. I tried it on and it fit. Without even thinking about it, I bought it. The energy swirled and the universe sang with joy. The ring links me to someone from the past and also someone in the future. It feels like something I received lifetimes ago, but this version is much simpler and smaller. Perfect. When I was buying it, one of my friends messaged me asking what was happening because he too felt the happy energy. We are all connected, if we are paying attention. With only five days left in Europe, I had finally found the ring. Secure in the knowledge I had done almost everything I was supposed to on this trip, I made my way toward the Sint Jan Cathedral to spend some time with the spirits and light some candles. 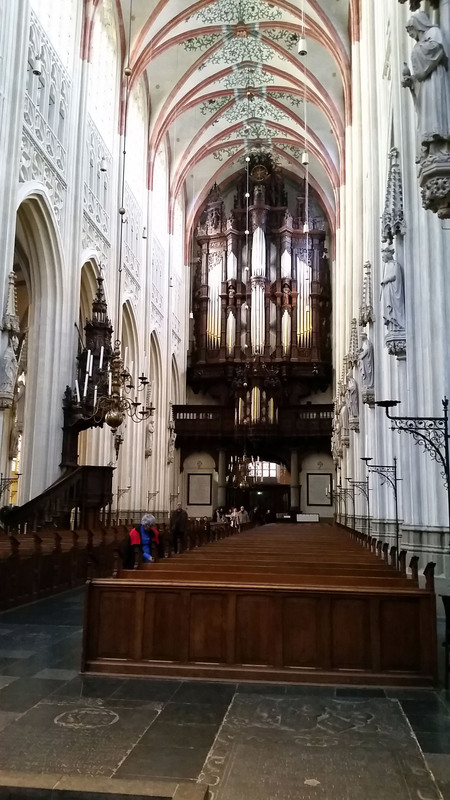 The Cathedral was incredible. Statues of Saints lined every aisle. 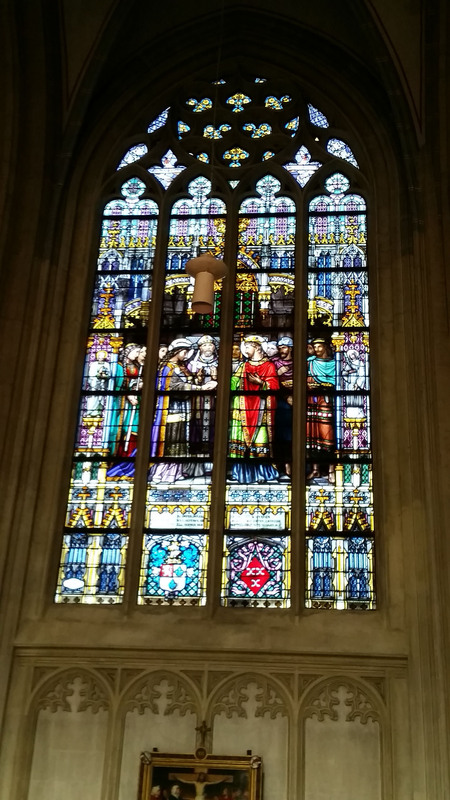 Beautiful art hung on the walls and were contained in the stained glass windows. 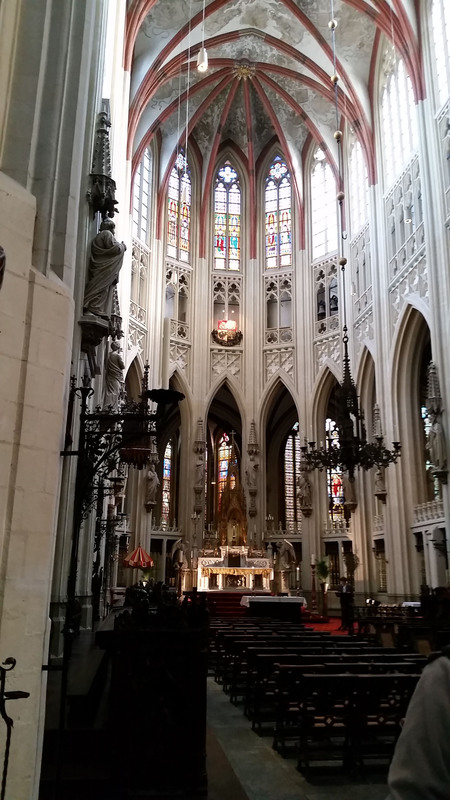 There was a peace in the cathedral I had not found elsewhere. 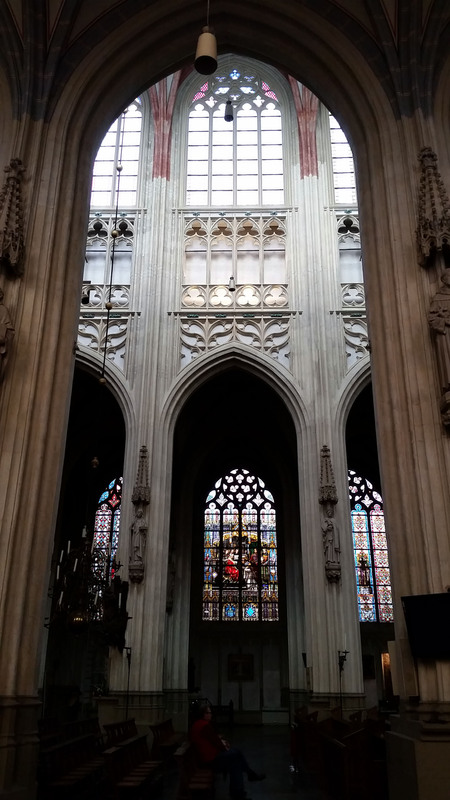 Some areas of the cathedral were very cold, as if people from beyond had congregated in those spots. This is one place I must return to on my next trip because in one visit you cannot possibly take in everything there is to see there. 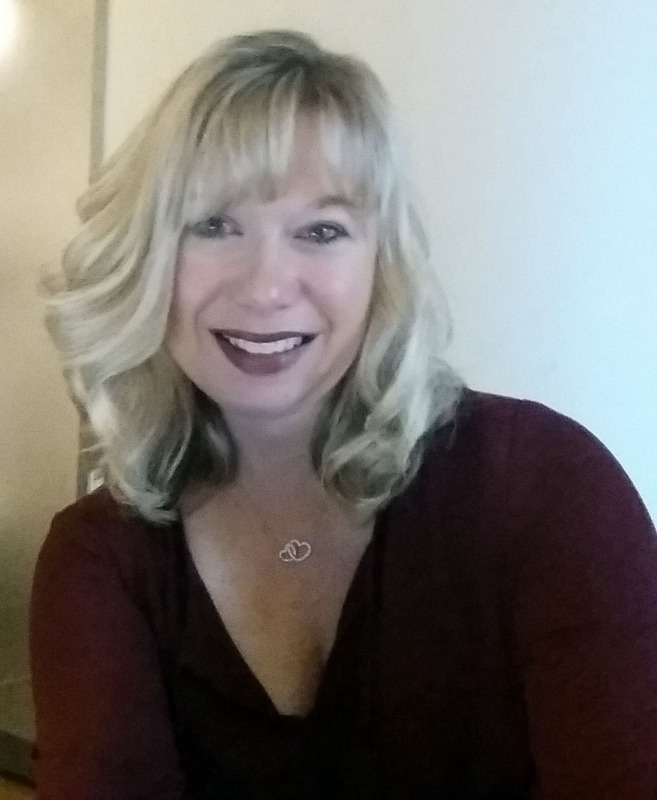 The rest of my day was spent with my colleague John Boeren as we did an In-Depth Genealogist IDG Chit-Chat session with Shannon Combs-Bennett. You can watch that here. Afterward we walked to the bakery in the village for something yummy with our tea and coffee and had a long conversation about life and work. My evening was quiet and perfect. I again counted my blessings as I later drifted to sleep. Tomorrow would be the day I gave my final program in the Netherlands.